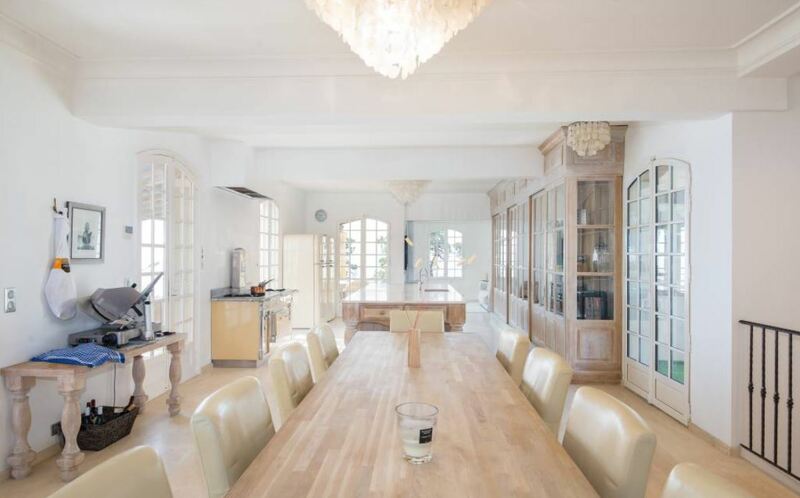 Situated in the heights of Super Cannes, this fantastic villa features spectacular sea views as well as views over the town below. The property comprises of 5 beautiful bedrooms, each with an en-suite shower/bathroom to accompany them. The large living room features a library and 2 more separate lounges with a billiard table and a wine cellar to enjoy. The kitchen is fully equipped with the latest appliances and includes access to the terrace. Each room of the property is immaculately decorated with only high quality furniture and neutral decor. The outdoor space includes a fabulous double swimming pool set amidst the gardens along with a barbecue and an outdoor dining area.